It all began with groundbreaking research from doctors at Harborview. The numbers were off-the-charts big. For a public health data jockey like Ali Rowhani-Rahbar, a relative risk of 2 percent is significant. But discovering that firearm victims are 21 times more likely to get shot again and wind up back in the hospital? This was a stat you could build an intervention program on. 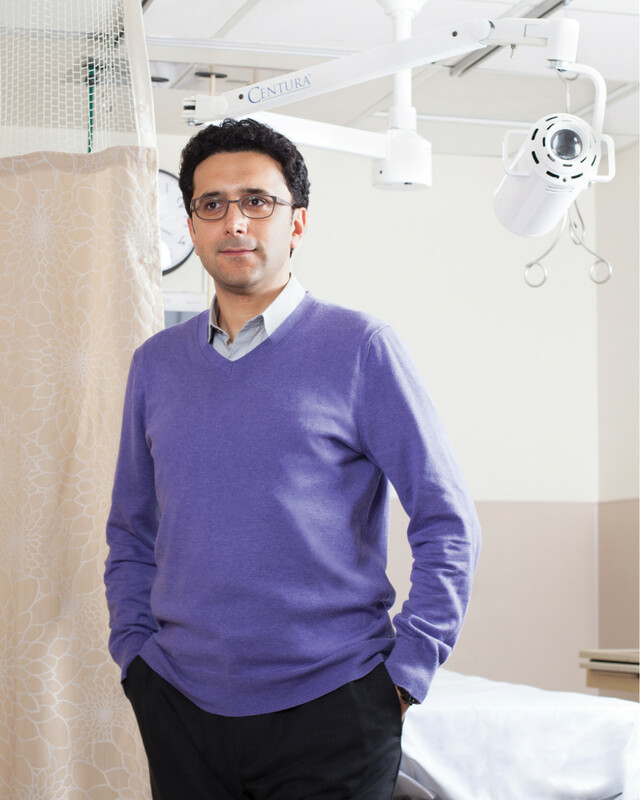 An Iranian-born MD—not to mention PhD and master of public health—Rowhani-Rahbar was just a few months into a post in the epidemiology department at UW when a colleague, Dr. Fred Rivara, approached him with a proposal. This was early 2013, just weeks after the shooting at Sandy Hook Elementary in Connecticut, when the country was still reeling from the horror and heartbreak of those 20 small victims and the heroic adults who were lost trying to save them. At city hall, where tours of field-tripping school kids tramp regularly across a mezzanine-style bridge outside his office, Seattle City Council president Tim Burgess had assembled funding for a preliminary study on gun violence and asked Rivara to oversee it. Rivara was an obvious choice. In the early ’90s he published a seminal study at Harborview Injury Prevention Research Center, or HIPRC. Gunshot victims were thirtyfold more likely to be hospitalized for another gun injury—43 times more likely to be killed within five years. With Rowhani-Rahbar on board, the team dove into the data, looking at patients admitted to Washington state hospitals for gunshot wounds in 2006 and 2007. First, they went back into the victims’ records, beginning in 2001, to see if they’d been hospitalized, arrested, or convicted of a crime prior to that injury. Then they jumped ahead—through 2012—to see if there had been repeat hospital visits, arrests, or convictions. What they found: Statewide, these patients were 4.5 times more likely to die because of a firearm injury, and about two to three times more likely to commit a crime. Then there was that other staggering number—that gunshot victims were 21 times more likely to be shot again. In King County specifically, victims were thirtyfold more likely to be hospitalized for another gun injury, and 43 times more likely to be murdered within five years. Equipped with the numbers, Burgess drafted new ordinances, passed unanimously by the council and scheduled to go into effect in Seattle in January. When they do, gun sellers will be taxed $25 for each firearm they sell and five cents per round of ammunition. A companion ordinance requires gun owners to report lost or stolen weapons or face a fine up to $500. Meanwhile, says Rowhani-Rahbar, the HIPRC team has laid out a plan for a followup study to examine whether intervention can work for gun-violence victims like they did with trauma patients. While Burgess has designated revenue from the new taxes to fund research and prevention programs, HIPRC is quick to point out that there is no plan to back this next stage of research with city funds. There may not be funds from the taxes anyway. Gun rights activists, including the National Rifle Association and the Bellevue-based Second Amendment Foundation have sued the city, arguing that the new taxes are unenforceable, since Washington retains the exclusive right to regulate firearms sales. In addition to violating the state preemption statute, says SAF founder and executive vice president Alan Gottlieb, the city is “singling out guns and gun owners and demonizing them.” Burgess counters that taxing firearms is akin to taxing automobiles and cigarettes.